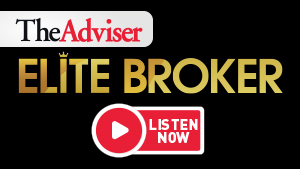 Charbel Kadib finds out what it’s like to be a broker in Tasmania from Lance Cure, veteran broker and director of Finance Brokers of Tasmania, who joined the broking industry in 1986. Q. Why did you choose to become a broker? In the mid-1970s, I worked for the Bank of New South Wales (now Westpac) and I progressed to a certain level by the time I was 19, when I sort of hit a roadblock. I decided to take time away from work and go travelling for a couple of years, and that started in Western Australia where I came across some finance brokers for people working in the mining communities. I then went overseas for almost two years, and when I came back, I got a job with a finance company, and that company transferred me from Hobart to run their Launceston operations. Soon after, I was given an opportunity to become what might have been the state’s first full-time finance business manager at the local Toyota and Jaguar franchisee. After experiencing the pressures of a car yard operating seven days a week and not having much time to myself, I decided that I might have a crack at doing what I’d seen in Western Australia and what I’d seen from one broker in Tasmania. Q. How did you break into the broking industry? I started out as an equipment broker in mid-1986 when we first set up the business, and I got a couple of people I know to come and work for me as the business grew. Those that I brought in had been either working in business manager roles or for finance companies. Now the Finance Brokers of Tasmania operates out of Hobart, Burnie and Launceston. We have 11 brokers across the state and a number of support staff to go with that. We generally receive business from those areas. The distinct business areas of Tasmania are north, south and northwest, so we’ve got a presence in each one. Although some try to specialise, we try and encourage each broker to be capable of writing not only home loans but also commercial, equipment and vehicle loans. We train our brokers to be versatile. Two of our younger brokers are in the middle of a correspondence financial planning course, which is really what we see the good brokers of the future being. Q. What challenges did you face when you first started? The first challenge was that nobody understood what a finance broker did in Tasmania. We called ourselves Finance Brokers of Tasmania (FBT), which we still trade under today. Receiving acknowledgment for the service we provided was difficult. We had to spend a lot of money on advertising our brand and advertising what our service was. We had to go to a lot of industry associations and present and talk to people at truck shows or any of the field days that were put on for certain industries. We had to get out there and do a bit of pounding of the pavement to let people know what we did. Then, of course, as time went on, repeat and referral business became a lot more prevalent. Q. Have brokers benefitted from the boom in the Tasmanian housing market? It would be fair to say that, given that Hobart is experiencing significant growth. It doesn’t necessarily mean there are more sales; it just means that the sales are for bigger dollars. While it hasn’t necessarily meant a large upturn in volume of sales, there would be some in Hobart, and it’s starting to occur along the north and the northwest of the state. Our business has grown, to a degree, alongside the Tasmanian economy. There’s also been a lot of money spent here by the government, both at a federal and state level, on infrastructure projects. So, the finance industry has seen an increase in [demand for] machinery and equipment [finance] from the contractors that are working on those projects. Q. What are your plans for the next 12 months? I plan to work closely with our new brokers and try and do as much work as I can in our office in Burnie, which we opened most recently. I’m also endeavouring to increase our product information seminars that we offer directly to clients in those three areas. These provide borrowers with information regarding investments and parental guarantee home loans while also promoting ourselves as an information source to the general public. [We’re doing] whatever it takes to provide better information for borrowers who are looking for a little bit of positivity and guidance following what’s come out of the financial services royal commission. I think the clients out there are looking for someone they can feel comfortable dealing with, someone they can trust. We’ve also embarked on a fairly comprehensive TV advertising campaign, and we’ve launched a new website, to try and get a little bit more out there in the community and to let people know what we’re doing. We’ve been doing this for 32 years, so most people in Tasmania have heard of us. It’s just a matter of building the client base on top of the many thousands we’ve built over time. There’s always a new generation of borrowers coming through.